As we announced earlier this year, LGI Homes is both proud and excited to be one of the builders in South Houston’s beautiful new master-planned community, Sterling Lakes. While many of our prospective home buyers have also been excited at the possibility of obtaining high-quality, affordable homes in this stellar location, some have asked us, “What makes a master-planned community so special?” Today, we’re going to answer that question—along with some you may not even have thought of yet—and try to show you how a master-planned community isn’t just a good choice; it’s a great one. A master-planned community like Sterling Lakes is a self-sufficient entity, focused not just on residences, but also on the host of auxiliary services that a thriving community requires. In the case of Sterling Lakes, residents will enjoy an exceptional location (located on Highway 288, and just south of Highway 6) along with leisure and recreational amenities built with family needs and modern lifestyles in mind. What sort of amenities will Sterling Lakes provide? Part of what makes us here at LGI Homes so excited about working within Sterling Lakes are the exceptional and attractive amenities that have been included in the area’s plan. From the $2.5 million Recreation Center Complex, to the walking trails and lakes, to the convenient bundled services (such as cable and internet) available to residents at low prices, and the safety and comfort of a fully guard-gated community. Sterling Lakes has tuned itself to what residents want, and left no detail outstanding in its effort to meet every need and desire. 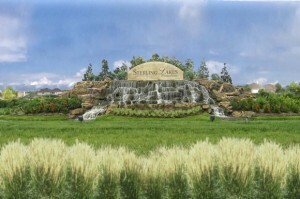 Is Sterling Lakes really that much different than an existing community? The answer to this one is both yes, and no. The beauty of a master-planned community is that it isn’t subject to years of whim and waiver by builders, residents, and local government. By being designed as a whole, the community follows a logical, comfortable plan that serves common purposes as well as individual comforts. While there are many existing communities that have grown organically into functional, pleasant places to live, we believe that master-planned communities like Sterling Lakes have an edge; at Sterling Lakes, residents are able to enjoy the benefits of owning beautiful brand-new homes, while luxuriating in the comforts, convenience, and sense of neighborhood that a fully-developed neighborhood can bring. So how can I find out more about LGI Homes’ offerings in Sterling Lakes? We’re glad you asked! 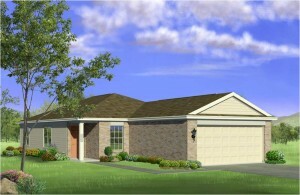 LGI Homes is proud to offer six different floor plans in Sterling Lakes, ranging from 3-5 bedrooms. Best of all, prices to live in this community start at just $679 per month. 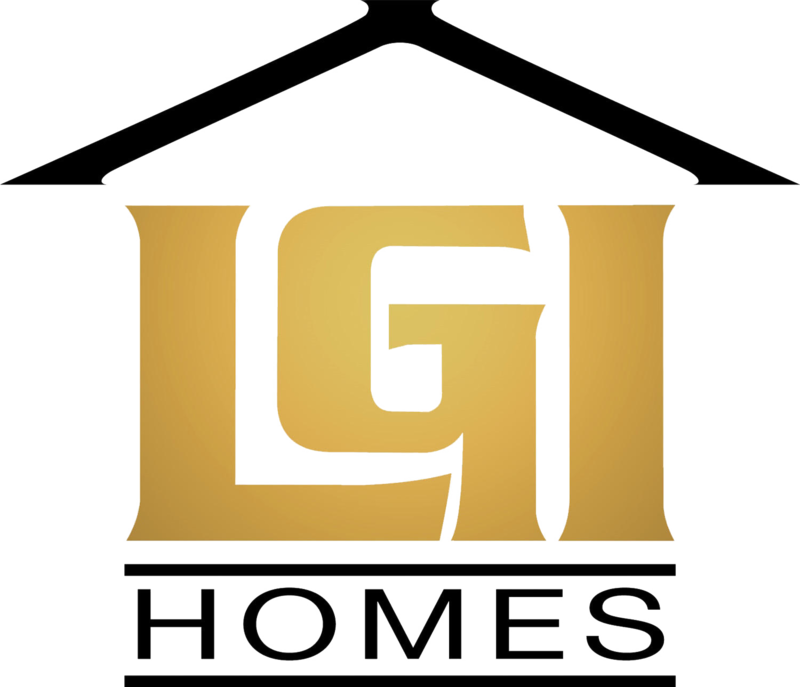 You can find out more about Sterling Lakes in general—and LGI Homes’ houses there in particular— on our website. 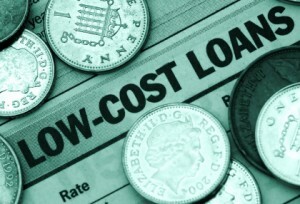 Homebuyers researching mortgage costs are bound to be pleasantly surprised, thanks to interest rates that have been falling steadily for the past seven weeks. With 30-year fixed mortgage rates dropping to an average 4.5 percent over the past week, financing a home purchase has never looked more affordable. As one of the main pillars of home affordability, this recent decline in mortgage interest rates means that borrowing costs for first-time and repeat homebuyers is at an all-time high. In fact, recent research from the online real-estate firm Trulia.com showed that it is actually more affordable to purchase a home than it is to rent in 78 percent of America’s major cities. 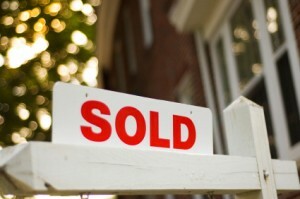 This affordability has been helped enormously by rising rents and the continued drop in mortgage rates. Texas had a stellar showing in Trulia’s research findings, with five of the state’s major metropolises landing in the nation’s 25 most affordable locales. The most affordable Texas city, Arlington, placed third on the list, and was followed by San Antonio at #11, El Paso at #12, Houston at #13, and Dallas at #16. Of course, those standings come as no surprise to us at LGI Homes, since we’ve been building quality and affordable homes in San Antonio, Dallas and Houston for years. And it’s also no surprise that we’ve recently begun following the affordability to Phoenix, Arizona, site of our soon-to-be announced newest community, and #2 on the national affordability list. Working in concert with our preferred lenders, we’ve made the most of recent interest rate declines and have used government programs to work out fabulous financing for homebuyers in our communities throughout Texas. In fact, we’ve been able to help many of our homebuyers purchase brand-new homes with absolutely No Money Down, and have fitted them with mortgage payments that are often less than they were paying previously in rent! If you’re interested in taking advantage of low interest rates and sky-high affordability, there’s no time like the present. Feel free to contact us, or just stop in at one of our communities, where our New Home Consultants are ready and waiting to answer your questions, and show you around your brand new home. energy-efficiency, contemporary floor plans and master suites, and the ability to select appliances and flooring, there are other, less obvious reasons to go with a new home builder. For more information on the way today’s homes are built, visit an LGI Homes community in San Antonio, Houston, or Fort Worth. Now that the first day of summer has nearly arrived, the lazy days of summer have truly begun. But before you get into a vacation mind frame, take the time to do some vital summer cleaning. Summer is the time of backyard barbecues, pool parties (if you are lucky enough to have a pool), or impromptu backyard picnics. So keep the outside of your home company ready with a few important maintenance projects. This past winter and spring brought unusually turbulent weather and moisture is not a homeowner’s friend. Check for any problems by carefully inspecting your home’s foundation, both inside and out. Repair any cracks you may find using caulk or cement. If you come across any areas where the ground has eroded away from the wall, fill them in with fresh dirt. Just make sure to slope the dirt away from the foundation, to prevent water from pooling up next to the foundation during the next storm. Next, clean out the gutters and downspouts, and if you spot any places where winter snow has soaked through boards, replace them to prevent future rotting. 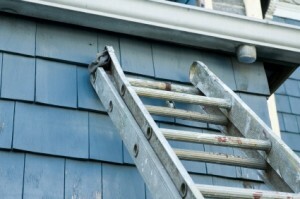 Replace damaged siding that can’t be fixed and any broken roof shingles. If you have a deck or porch, check the integrity of the planks, replacing any that have warped or are damaged. Inspect your patio and use a quick drying cement to repair any cracks. Once that is done, give your house a refreshing power wash to remove accumulated dirt and debris. A power wash can also eliminate mildew and help prevent mold from gaining a foothold. If you are feeling ambitious, and have owned your home for a number of years, you may want to add a fresh coat of paint to the exterior. By taking a couple of weekends to perform regular maintenance and refresh your house now, you’ll save time and money down the road—and have a picture perfect house inside and out. Houston is a fabulous place to live, but trying to find your own space in this sprawling metropolis can feel daunting. We all want to live close to the city centers where we like to work and play, but we often crave a smaller-town feel in a neighborhood where we can really be at home. To that end, LGI Homes is proud to announce the opening of one of our newest projects: West Meadows in Baytown, where homeowners truly can have it all—starting at just $679 per month. West Meadows offers exceptional access and proximity to the heart of downtown Houston, while giving residents a real sense of their own community, nestled within the greater Houston area. Oversized lots and generous floorplans give our homeowners space to thrive on their own property, while family-friendly community attractions like a playground, walking trails and a neighborhood park make coming together with friends, family and neighbors both easy and fun. Homes in this newest LGI Homes community range in size from 3 to 5 bedrooms, and offer at least 2 bathrooms; a 2-car garage and a utility room are also included. These new homes in Houston also come with over $10,000 of interior upgrades included in the affordable sales price, such as custom cabinets and quality appliances (including a refrigerator!). But these new homes aren’t just beautiful; all LGI Homes houses are also built with a commitment to quality and value. And when you buy with LGI Homes, our award-winning construction quality and our confident homeowner warranties mean that you can rest easy while you enjoy life in your new home and your new community. With West Meadows, LGI Homes has once again shown that living in a big city doesn’t mean we have to give up our small-town dreams. It just takes the right builder in the right place to make having it all possible again. Stop by our new West Meadows community soon to see how we can make your dreams come true. We’ll be waiting for you. 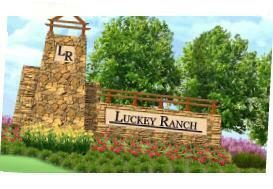 LGI Homes is pleased to announce the grand opening of an exciting new community in the San Antonio area: Luckey Ranch. This one-of-a-kind development offers affordability, a convenient location, and huge recreation and activity options, all starting at just $699 per month. Luckey Ranch homes are built with the same care, sense of value, and attention to detail given to all of our LGI Homes houses. Our newest community has a number of exciting and adaptable floor plans available, with homes ranging in size from 3-5 bedrooms, and all offering at least 2 bathrooms. Quality interior upgrades and outdoor touches like fully-fenced backyards and front-yard landscaping make LGI Homes at Luckey Ranch ready for you to move-in and make yourself truly at home. In addition to our commitment to affordability and quality, we focused on another real estate imperative with Luckey Ranch: location, location, location. Luckey Ranch gives homebuyers a tremendous opportunity to live at the heart of where they want to be for both work and play—near Lackland Air Force Base, and the Toyota Manufacturing Center, as well as Sea World, restaurants and major shopping attractions. Active households will enjoy plenty of recreational activities inside their own community, whether it is fishing or kayaking on the lake, partaking in a quick game of pick-up on the full-sized basketball courts, or taking in the beautiful landscaping from our manicured walking trails. In fact, Luckey Ranch will be the site of a $2 million dollar recreation center that gives residents family-friendly and community-centered amenities in the heart of their own neighborhood. Try finding that sort of planning and design in an older existing community! As you can see, LGI Homes has much to be proud of when it comes to their newest new homes community in San Antonio. Sure, we could build quality homes at great prices just about anywhere, but we’re committed to building only the best homes in the greatest locations. And Luckey Ranch offers just that. So we invite you to stop by our offices any time, and let one of our New Home Consultants show you around. We think you’ll find Luckey Ranch to be just as exciting as we do. See you soon!